Offering feel-good, beautifully designed and delicious desserts for everyone. Philadelphia, Pennsylvania: Raw Monje launched their healthy lifestyle brand. This includes an online and wholesale dessert shop reimagining dessert and treating yourself well. They create yummy, beautiful, guilt-free, plant-based, whole food healthier desserts, allowing you to indulge and feel good. The products serve all and are naturally gluten-free, mostly vegan, organic, refined sugar-free and made in small batches with the best ingredients. They will elevate any event or occasion and brighten any standard day. “Compared with many of the products out there, our ingredients are far superior and you can taste the quality. We support farmers and families across the globe by sourcing safe and organic ingredients. You don’t need to overindulge, because our desserts are nutritionally packed and actually satisfy what your body needs while allowing you to celebrate and have something special. 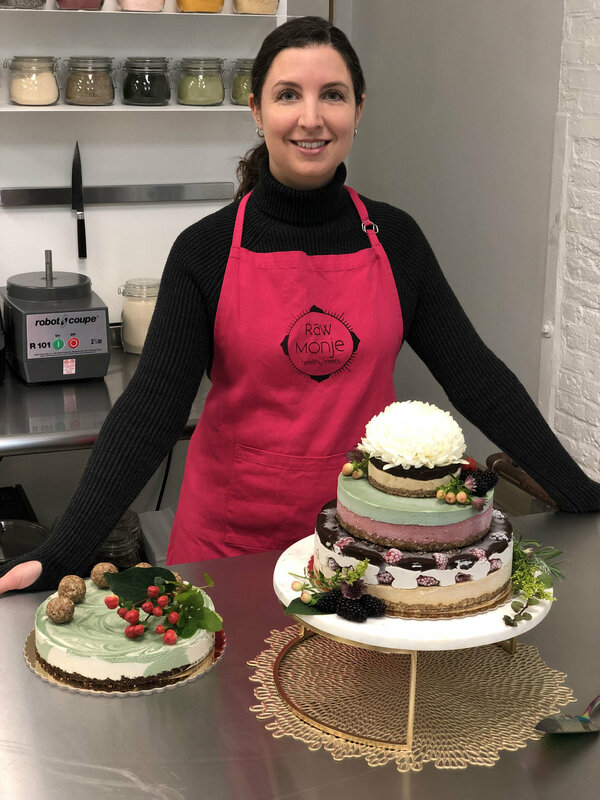 Whether you subscribe to a particular diet, or are vegan or gluten-free, you will taste and feel the difference in our products.” Monica Bookbinder, Owner and Baker, Raw Monje Healthy Treats. “I've tried many of Monje's treats, even during development. They are unbelievably delicious, beautiful, and guilt free!” –Steph P.V. Raw Monje is committed to making it easy for customers to get delicious treats and not have to worry about unwanted or artificial ingredients. • No more reading labels with ingredients you can’t pronounce or worrying about what’s been added to your food. • The kitchen and ingredients are 100% gluten-free, in order to serve those with Celiac and gluten sensitivities. • The treats allow you to satisfy your sweet craving while nourishing your body and celebrating in a good way with your family and friends. • No more sugar spikes and crashes, as they use no processed white sugar, but rely on more nutritious sugar sources. About Raw Monje: Raw Monje creates beautifully designed and delicious vegan "cheesecakes," special occasion cakes, tarts, energy donuts and chocolate truffles. Fun classes run select evenings and weekends, they offer local wholesale and have online ordering for pickup and local delivery from their convenient Manayunk, Philadelphia kitchen. They ship chocolates and donuts within the US. Look for them soon at your local shops and cafés. Limited rewards are available now through the Kickstarter Campaign. Find more information at www.rawmonje.com.